How can a cheerleading life be so much fun, wanna know? Play highschool cheerleading game to follow a sweet love story of acheerleader girl. Enjoy a perfect blend of romance, drama, and asad break up in high school cheerleader’s life, make choices tolead the way in heartbreak cheerleader game.WHAT'S NEW IN THISINTERACTIVE HIGH SCHOOL CHEERLEADER STORY OMG! Your first crushasked you out, Let’s dress up to hang out with himDecide whether togo for a dinner date or a long drive with new boyfriend Go to BFFhome, Oh! She seems sick, let’s cheer her up Get ready forcheerleader dance rehearsal, put on cool cheer outfits Practicedance with cheerleading dance squad Ooh, no! Your boyfriend &bestie are watching a movie together, Are they into each other?Clean up your face after crying over boyfriend’s betrayal Dress upto start a new school day in cheerleading gameAre you gonna breakup? Decide how to get over a heartbreak! High School CheerleadingGame: Plot A teen girl ‘Eva’ joined a cheerleader dance squad withher BFF. Both really worked hard and performed superbly in highschool cheerleader competition. Later, her BFF's friend Taylorasked her for a date. She gladly accepted his offer, but sooner, itturned out a heartbreak story when she found him involved with herbestie. It’s was really heartbreaking! Now, she is so messed up todecide anything, whether to break up with him or not. Is herboyfriend really cheated on her? How can her BFF betray her likethis? Play high school cheerleading game to know the truth &help the cheer girl make a right decision, as the ending is allabout what she chooses. So be smart and confident in whatever youchoose in the cheerleader game. Good Luck!If you like break upgames, you will love this one. Love is a puzzle that hit every young boy and girl in high schools!This story starts with Kate at high school rugby match with Jack!Kate got into first sight crush for Jack muscular play on field.And Kate find her way close to Jack in the classrooms all the way.Finally Kate got to know Jack’s love for her in his locker fullwith pictures of her. Kate wants Jack to feel special by decoratingspecial cake for his Birthday! As they have been together for 3months and this is Jack's first birthday together. But she caughtJack proposing the junior Julia! She can’t believe it! And Her BFFHarley is now so upset.What would you do if you caught yourboyfriend cheating on you?Heartbreak? Tears all-day? Close yourselfinto the room?Lucky Kate, she still has her BFFs, Harley andSophia. They are always there for her. They are on mission tohelped Kate get back on feet. Get her back in high school and showJack place where he belongs. Make Kate happy girl again. Get herbest uniform outfits to wear.Now, Kate is strong and happy again.She is so grateful to have Harley and Sophia as BFFs. And they planto go this year's prom night with full glitter ON!! Looks Like Jackhave realized his mistake and he wants to move on with Kate! ShouldKate forgive him? What should she make sure? Jack is telling truethis time? Uncover the full story by downloading and playing thisgame.More Love episodes will be on your way Soon!! 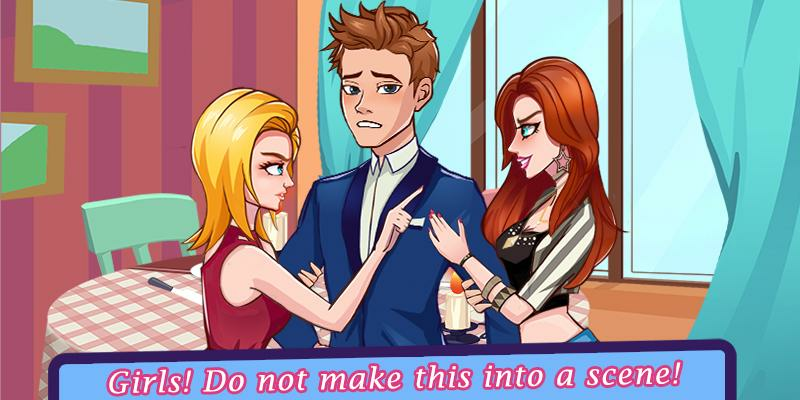 !💖 💖 💖 AWESOMEFEATURES 💖 💖 💖> Decorate Cake and Get ready to meet Jack>Heartbroken Healing time with BFFs> Get over Jack and be thebabe again> Make Jack jealous with moves> Prom NightPlannings > Play epic Teen Choices Play! From makers of best high school games, here is an addictiverole-playing love story game for all pretty girls. Step into thelife of a cute teen girl to experience high school crush, firstlove, and heartbreak. Explore the high school story from drama toromance and solve mysteries in secret love story game with yoursmartness. What’s New in Secret High School Story Game: Dress highschool student up in trendy & stylish outfitsMeet the handsomeboy- maybe he’s your secret high school crushBake some deliciouscupcakes for first crush in high school game Experience schoolromance in high school love story gameDress up for a romantic datewith your high school loveFind boyfriend’s secret romance in highschool story game Break up with your cheating boyfriend in highschool gameGet BFF’s support to get over heartbreak in secret highschool story gameEnjoy high school pool party after boyfriend’sbetrayal Solve mystery of missing girls in secret high school gameSecret High School Story Game: PlotA senior high school girl Karafell in love with a handsome guy but later broke up when found himcheating on her. Meanwhile, a girl got missing at the high schoolpool party, leaving students in a state of shock. Who is behind thesudden disappearances? Will the weight of solving this high schoolsecret fall on Kara’s shoulders?Play the high school game to solvemystery and uncover story secrets. Be the heroine of high schoolstory game and make choices you like. The ending of high schoolstory is all about you, so make wise decisions to find the missingstudents!About Developer:Pretty Teen Games is an interactive studio- aims to provide highly-quality entertaining games for millions ofgirls around the world. Our high school games bring the schoolromance, love and drama all together to keep you engaged andexcited for hours. So enjoy our cool high school games for girlsand stay tuned for more. Girls and teen boys get ready for the real high school hearbreaking love story adventure game. 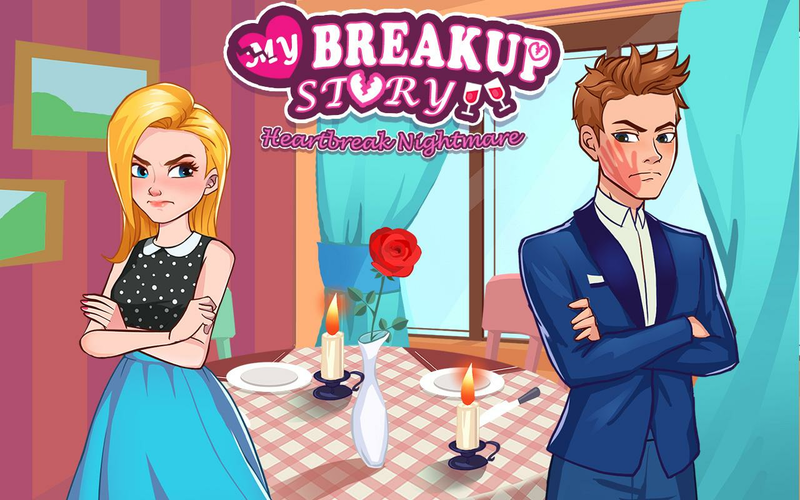 A girl is very muchdisappointed with her boyfriend and wants your help to give her acool dressUp, spa, makeup and makeover to look more fresh and herex-boyfriend may be again interested with her for a crazy date andmovie in a cinema. Boy is a cheater, who involved in love withother girls while this cute girl was fall in love deeply with thisboy. To steal your boyfriend from other girl is not an easy job.You need to behave positive, build trust, create the positivememories, build up your communication and remind him about the goodold relationship days when your and he was very much happy.Discussthe different subjects with your boyfriend, so your boyfriend liketo spend lot of time with you and never go for the other girls.Flirt or kiss with your boyfriend and have some nice and fun time.You and your boyfriend should spend lot of time alone and showaffection with established attraction through flirting, closenessand positive experience. If you are in a class and your boyfriendis not giving your time, talk to the other boys of class, get themto laugh. His jealous can provoke his to action. Keep yourself goodand fit like eat hygiene , exercise and practice speaking in amirror. Exchange some nice gifts with your boyfriend and girlfriendas well. 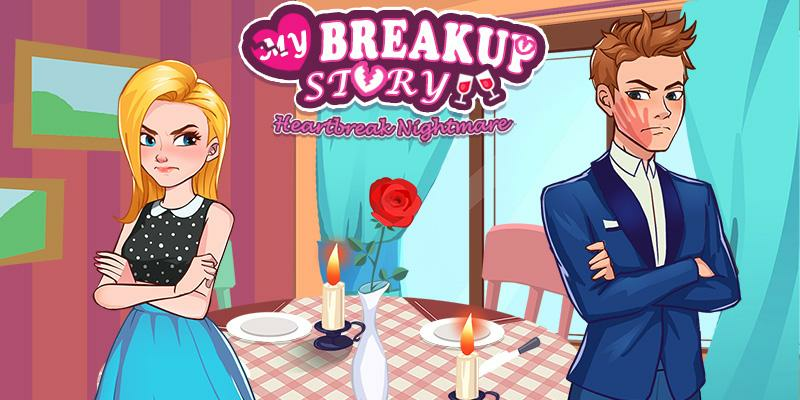 **** Features in this Heartbreaking Love Story Getting OverBreakup game **** * It is a free Love story heartbreaking schoolgirls crush game* There is thrill, adventure and Love story secretromance of other girl* Boyfriend has broken his girlfriend heart bygetting fall in love with other girl* Boy has started flirt withother girl when both was in cinema for movie* Girl has foundanother boyfriend who is very much loving and cute* It is a freeLove heartbreak kissing game for teens * Reveal the secret romanceof boyfriend with other girl* Easy to touch and control with userfriendly game play* Makeup, makeover, dressUp and dinner with musicparty with new boyfriend* High quality graphics games for schoolteens and school girlsYou can try for separating yourself from yourex-boyfriend or ex-girlfriend by getting involved in differentactivities like cut off all your contacts with them, avoid placeswhere your ex hangs out, cleanse your space of reminders about ex.Channel your energy into new activities. 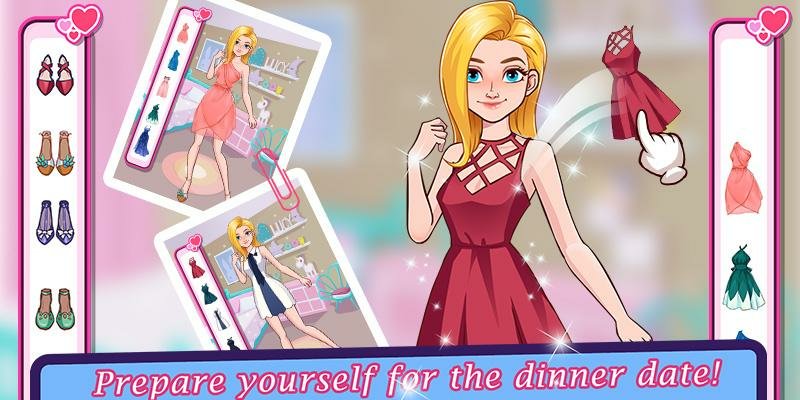 You can wait for ourupcoming cooking, dress up, makeup, love story romance crush game,kissing games, school teacher classroom, gymnastic, fashion bloggerand makeover games. Remember, It is the FREE Game to have some realFun.TinyBit games, tiny masterpieces ! 🌟'I double-clicked on the icon and started playing Shadowtime. Idesperately waited to create my own world, MY NEW ME! '🌟 ✨ DEARFANS, get ready for a TOTAL MIND-BLOWER from your favoritedevelopers! A brand new interactive “love story” game combiningelements of virtual reality and RPG with beautiful manga charactersand illustrations is finally out! Immerse yourself in the mostthrilling gaming experience ever while you shape your destiny andmake life-determining choices on your way to true love! Anime LoveStory Games: ✨Shadowtime✨ is aiming to capture the hearts of ourdeareast game fans and keep them hooked and desperate for newreleases. Don't lose any of your precious time – downloadShadowtime right away and start living the love story you've alwaysdreamed of! 💜🌸🌞❣️💜🌸🌞❣️💜🌸🌞❣️ DOWNLOAD NOW! and start your grippingVR adventure if: ✨ You like playing any kind of otome games free; ✨You want to experience an unusual kind of love set in two worlds; ✨You're a fan of RPG games or virtual reality games; ✨ You loveJapanese games, manga or anime games; ✨ You'd love to create yourown avatar; ✨ You enjoy impressive visuals, animations andunpredictable plot twists; ✨ You're hooked to anime love storysimulation games for girls and guys alike; ✨ You wish to name andcustomize your character the way you want; ✨ You want to createyour own path by making personal choices at critical moments thatchange the story line! 💜🌸🌞❣️💜🌸🌞❣️💜🌸🌞❣️ ✨Only in “Anime Love StoryGames”: ✨Shadowtime✨ - one of the best dating sim games for girlson the market! 🌟 🌟 🌟 SUPPORTED LANGUAGES: Polski, Türkçe, Español,Português, Deutsch, Français, Italiano, bahasa Indonesia, Srpski,Русский, عربى , 日本語, 한국어, 中文! It's time to dive into the mostimmersive anime love story ever! ✨Download this fantastic teenagelove story and enjoy the superb anime style illustrations that goalong with the romance novel you create. Veiled in suspense, thisgame presents you with original characters and creative plot thatcombines two different worlds. Anime Love Story Games: ✨Shadowtime✨offers you a chance to play a game within a game combining elementsof RPG and VR. Above all, it is also one of the most carefullywritten interactive story games offering you new stories andchapters on a regular basis. "Choose your storyline" and don't missthe chance to try the best otome games English free. These virtuallove story games can be yours in a few seconds! Write your ownmanga romance! Create an anime character and make your own story oflove! ✨Looking for an original shoujo game romance with fantasticcharacters and thrilling plot full of suspense that will leave youcraving for more sequels? Become the heroine of your story as itevolves into a stunning romance. Decide on the look of your heroinein real life AND in the game she plays. Engage yourself in avatarcreation and customize it with accessories. Download Anime LoveStory Games: ✨Shadowtime✨, one of the most addicting anime and“manga games” and watch hours fly by in a simple gameplay! “Storygames for adults”! A childhood friend or a popular gamer? What'syour choice? ✨Curious to become a heroine whose life changes at thesame time when the most popular video game is released? 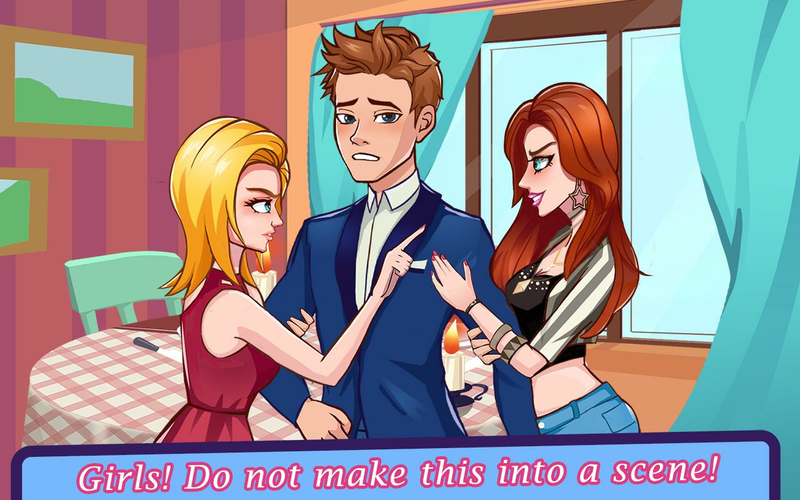 Tornbetween your old school friend and a new popular guy, you're aboutto encounter various difficulties that this secret romance gamecarries along the way. However, you should know one thing: there'sno mistake with our “avatar games” with virtual worlds and “Englishotome games”! If you love to play “manga love games” that you candate in or "interactive story games", we have a perfect app to keepyou entertained for hours. Hurry up to find out your ideal love inAnime Love Story Games: ✨Shadowtime✨ FREE! We guarantee that bothgirls and boys will be thrilled about our new "simulation games"!